If you missed last month’s opening of Immediate Delay at Project Space 1785​ you’ll have another chance to see the exhibition at our closing reception this Friday, March 6th from 5pm on. For more information about my ambient video installation featured as part of the exhibition please visit my earlier blog post Ambient Video + Audio Installation Featured in Fine Art Exhibition @ Project Space 1785, Vero Beach, Florida. 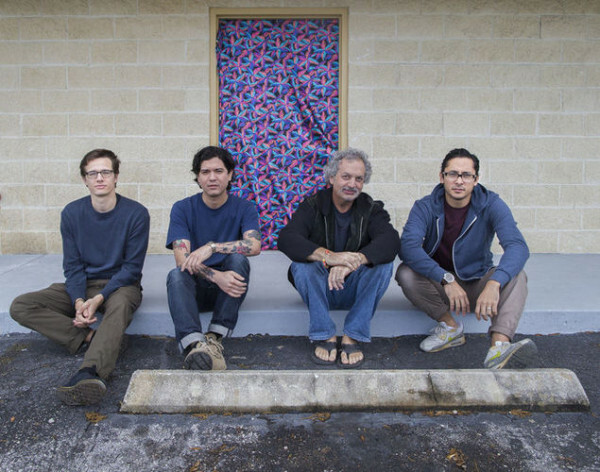 Jared M. Thomas, Augie Ruiz, Aric Attas and James Ruby Barsalou in front of Project Space 1785. Photo by Ben Hager.